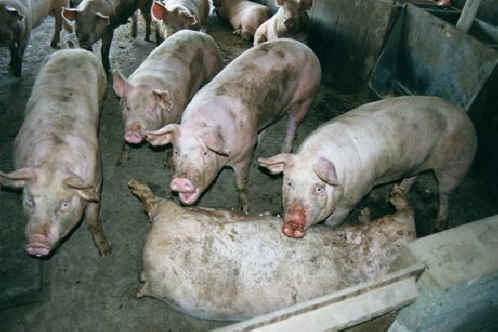 (Pig Exploitation - Factory Farming - 21) Here is another look at this fallen pig, whose friends are pleading for help. The farmers seem to be deaf to their cries. Hopefully, we can hear them. Pork, ham and bacon are not worth this kind of pain and suffering!